Hi everyone! @livinguktaiwan here! Today's #traveldigest is a short and sweet version. Hope you have enjoy reading it. 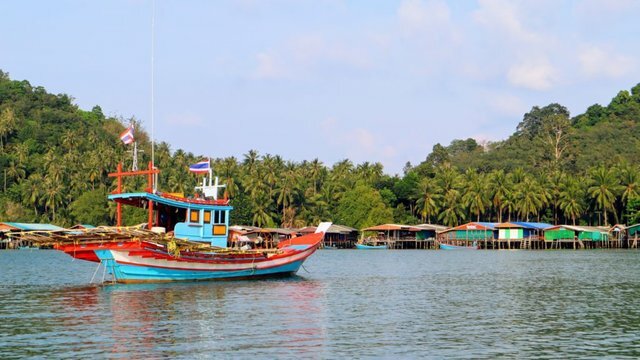 "A very small island in Chumphon province. How small are we talking about here? Probably the smallest I have been to in my life and to be exact, 1.1392 km2 with around 40ish houses. We could totally walk around the island for less than an hour or something.Most of the people on the island work as fishermen and export seafood to the main land which is pretty close." "When waiting for rides we do several things to pass the time; this could be getting the ukulele out to get some practise and maybe try to sing a few songs or just come up with different games to play to pass the time. 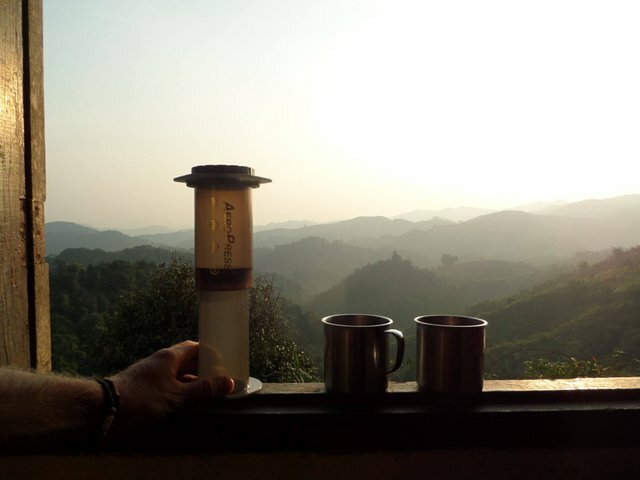 We were however, in an amazingly beautiful place and the wait up on the hill was actually very nice with all the birdsongs and the fantastic view of the mountains fading away into the distance. Spectacular!" "It's a question we'd never considered before coming to Ghana, but why is it that we all choose to be buried in boring, expensive wooden boxes? This is your death! If there's any time to go overboard, it's now. In Ghana, it's common to be buried in a colorful coffin that celebrates your life. After all, if you've spent your life farming bananas, would you rather be laid to rest in an ugly brown box... or in a bright yellow banana?" Thai shrimp paste!!! Sounds great! Thank you so much for the feature!!!! What would your choice of coffin design be? Of course it's gotta be a suitcase! 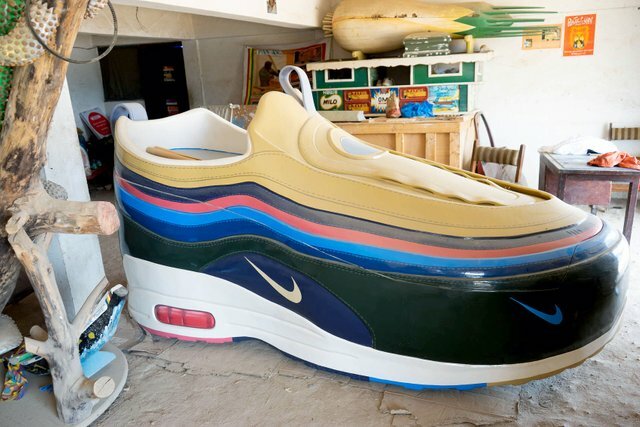 That huge shoe is amazing and the idea of colorful coffins too! Keep up with creative content.